STRENGTH AND THE CITY: Simple fixes you can do to your exercie program that can do wonders! Simple fixes you can do to your exercie program that can do wonders! The other day, I had a friend of mine, Sam who happens to train at the same gym as mine, have a couple of questions he loved to share with me. It appeared this trainee friend had a host of issues he was facing with his exercise program. After going through his questions, it came out that although the amount of weight he was able to lift was getting good, he still wasn't able to build as much muscle on his frame as he wanted to. Other things revealed that he had been facing several forms of joint injuries here and there in his newly started training history. It would sometimes be a back pain that would not go away after a heavy deadlift, or a shoulder joint irritation after a heavy bench press day. But some for of training related injury would always remain associated to Sam's exercise time. 1. Sam had been following exactly the same exercise program since almost an year now. 2. 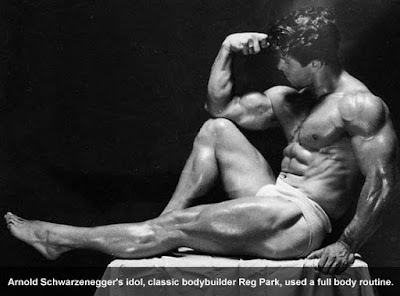 Sam's exercise program was typically a Bodybuilding styled split where he trained a single body part per day. In fact, this was why he was always taken by surprise when he saw me training in a whole body per day fashion. Set 1: A relatively light weight. Sam would go all the way till 15 to 20 reps on this one. But what was peculiar about his approach here was that Sam may keep doing the set till he could no longer do a rep. In other words, he reached muscular failure on a set where he wasn't really challenging his strength by any appreciable standards. Set 2: Here, he would increase the wight slightly and aim for somewhere like 10 to 15 repetitions. But since Sam must have already exhausted his strength reserves by reaching muscular failure on his previous set, his ability to perform this heavier set with quality technique is lost. Sam ends up doing a lackluster performance while another thing happens. Since he is fatigued, Sam starts losing the focus and freshness which he visualizes while he imagines doing the exercise during the rest of the day. Set 3: The weight gets heavier. But so does the fatigue and the ability to perform precise repetitions. It is now that when Sam is doing the 6th of his target 8 brutal reps when he experiences that slight joint pain. Set 4: Finally, Sam reaches the most productive set of the exercise, all drained out both physiologically and psychologically by continually reaching failure on his previous sets. While performing his movement under the heaviest weight possible in the most fatigued state possible, Sam has just predisposed his joints to a high risk of injury without the maximum support of his adjoining muscle groups. He performs a way less than optimal set of 4 repetitions and racks the weight wondering what really went wrong from the last week. And this was only the first exercise of the session. 1. Move towards a total body split: The single body part per day split which he was following was having an entire week elapsing before he could train that muscle group again. Looking at his current training proficiency, which isn't unlike many of us in the general population aiming towards getting better in training, he was not at a level which demanded him to be taking a week off before he could train the muscle group again. A total body split where you train all muscle groups using several multi-joint movements in a single session allows a higher frequency of training per muscle group on a weekly basis. Movements trained more frequently get learned by the central nervous system more effectively, leading to higher advances in strength. Additionally, bigger movements trained more often lead to more volume of work done as compared to an infrequent single muscle group per day approach which is one of the most followed training split around, all thanks to bodybuilding magazines being the primary source of information for aspiring strength trainees. 2. 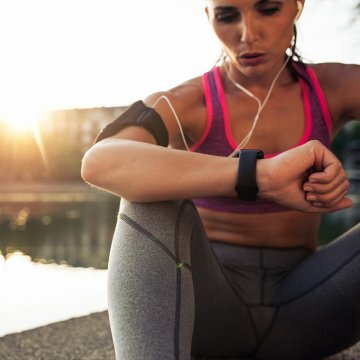 Do not hesitate in taking longer rest intervals: It has almost become a norm now to take mega abbreviated rest intervals, among the weight training population. The rationale is understandable: to capture the effects of human growth hormone release, lactic acid build up and generate a greater metabolic stress hopefully resulting in a very anearobic effect leading to fat loss. But here's another take: ultra small rest intervals leave your cardiovascular and central nervous systems, the operating systems responsible for keep your weaponry running during a heavy set, all gasping for breath. You end up remaining more tired than you are supposed to before you begin the next set which is most probably going to be heavier than the earlier one. With less than the required firepower at your disposal, you are most probably doomed to end up sabotaging technique and as much progress as can be reaped from this set. Longer rest intervals give you the time to focus more on the next set, get psyched up and gather your resources in order to attack the weight generating more tension and keeping your joint matrix safe and secure. While you end up giving up the opportunity of the metabolic effect from the short rests, you gain an even bigger advantage from a high quality heavy rep. When it comes to long term continued progress from training, movement quality is unbeatable compared to other metrics. 3. Be more broad minded when it comes to repetition ranges and experiment with low rep ranges: Low repetitions allow you to expand your horizons and lift heavier weights than high rep training can ever offer. Training in a higher percentage range of your one repetition max brings with it a whole lot of benefits such as Type II muscle fiber activation which contribute to strength, speed and more explosiveness altogether. Heavier low rep and high set training also results in more muscle density. You can even maintain your current training volume while still going low rep. Just flip the number of your sets and reps. eg: if you are doing 4 sets of 10 reps, try doing 10 sets of 4 reps now and see how your results change forever. Push this flip switch especially with the big movements and you will likely experience a totally different stimulus from training. 4. Drop that obsession with reaching muscular failure on every set: The feeling of inability to execute another rep with technical dexterity on your last repetition is tantamount to a feeling of accomplishment. Some trainees may never get that satisfaction from their sets without reaching muscular failure. But what they may fail to realize is that reps executed with proper emphasis laid upon movement quality can deliver a pain free range of motion and render the joints mobile, and muscles flexible. The CNS is better able to learn movement patterns when it is fresh. As your fatigue level rises during a set, technique gets compromised and the CNS may always learn the technique which is executed in a faulty manner. The human mind and body may always opt for the path of least resistance. Training to Failure has a place, and that's not everytime you train. 5. Do not train everyday: Many trainees emphasize quantity over quality and believe that training 6 to 7 days a week will always beat training lesser number of days such as 3 to 4 days. Insufficient recovery may hinder continual progress and in this case, may disallow the trainee from aspiring to a higher training poundage. And in a real world scenario such as today's, more training days per week can also conflict with a busy working class lifestyle resulting in a higher probability of missed training sessions. Our training is only as effective as it is consistent. Training lesser number of days per week may not only offer us a window of opportunity to recover more, but can also give an incentive in the form of more chances to travel during the weekends of the off days from training. Let us not forget that we are not our training session. Our life out of the gym will almost always be more important and what we do out there will always be more helpful to the world in general than what we do on the gym floor. As such getting the most out of our time in the gym becomes a key target. Hopefully Sam walked away from the bench outside the gym that day with something that will change the way he looks at training for the years to come.